Often sign regulation is part of a zoning ordinance. Alternatively it may be a free-standing law on its own, or be contained in design guidelines or covenants. But let's step back and see why you might want to regulate at least facade signs (facade means the front of a building), billboards, and signs in parking lots, even in a small town. First, such a code improves your aesthetics, keeping visual clutter to a minimum and allowing architecture, storefronts, and landscape to grab the attention they deserve. Especially where businesses have suburban-style parking in front of the building, competition for attention leads to larger and more absurd signs over the years. But we don't mean to imply that we think that limiting the number and size of signs is the only important aesthetic function that regulation can provide. On the positive side, signs can bring an appealing element of originality and artfulness to a place. In thinking about the places where you've actually appreciated signs, I bet most of them had a coordinated look and feel, or an actual material, size, shape, or style in common. Second, sign regulation codes are often justified on the basis of safety concerns. For instance, poor placement of signs could obscure visibility for drivers, dramatic flashing electronic billboards could distract drivers, or poor construction standards for billboards could turn them into flying hazards in a wind storm. An unlimited quantity and size of commercial signs can make it more difficult to notice important traffic signs. On the positive side, correctly sized and placed wayfinding signs can help people determine where to turn and thereby eliminate potentially hazardous hesitations on the part of drivers. It is very common for sign ordinances (or chapters of the zoning code) to be copied from nearby jurisdictions. Usually we just hate that approach, but in this instance, there are so many details to think about, we have to advise that it is not a bad starting point. But first, we have a warning. 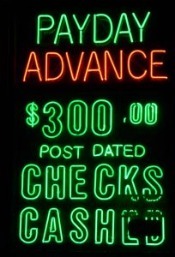 Watch out for model ordinances that are actually paid for or produced by the sign industry. For example, there is research about sign effectiveness, produced by the United States Sign Council, which of course reflects the industry's point of view and doesn't take into account any other community considerations. They are not the only group either. We are not saying that their perspectives are totally wrong, but we are saying that you should use a skeptical and common sense approach to material funded by a party that has an economic interest in your decisions. What we do suggest, however, is that this is one area where you can learn by what neighboring communities are doing. To follow this approach, arm yourself with a sign code from a nearby community, choosing one that you think is particularly good or especially bad. Become familiar with the terminology common to sign ordinances. Just look at the definitions section. Now visit that nearby community, identify the various sign types out in their business districts, and see if you are happy with the sizes and placement that you see. Compare your reactions to what you see to what you find in their ordinance. This approach really helps you think through what you would like to see in your community. Think carefully about what you would like to accomplish through your own ordinance. Your sign regulation philosophy should be related to how you see various urban design principles applying in your particular situation. For more objective information, turn to sources such as the American Planning Association, which from time to time publishes books and monographs about the topic. We like the Montgomery County, Pennsylvania model sign code. The suburban location assures that their code tackles a variety of urban development and landscape situations. Your city attorney should be involved in the conversation about a sign code from the very beginning. If you are part of a homeowners association or other area governed by land covenants, the situation is easier, since arbitrary aesthetic regulation is much more common in this arena. The legal problems you wish to avoid are any regulation of point of view or content that might be interpreted as a violation of the right to free speech. For instance, you can't prohibit signs for Democratic candidates and not Republican candidates. Or you can't outlaw anti-abortion signs and not Planned Parenthood signs. That would be regulating on the basis of point of view. But also you can't pass a more general content regulation that says you can't have signs about political or religious topics, for example. That would violate the principle of content neutrality that courts favor. We can't emphasize this enough. The content neutrality idea has been evolving and increasing in importance over the last two or three decades. If you haven't reviewed your ordinance for 20 years, now is the time to do so. In June, 2015, the U.S. Supreme Court unanimously decided a case about sign regulations that is sending broad ripples through municipal governments everywhere—and for good reason. The case, known as Reed v. Town of Gilbert, involved a small church (of which Reed was pastor) that had no permanent location and therefore had started posting signs all over town on Saturday informing people of the location. Unfortunately for them, the Town of Gilbert, Arizona, had a sign ordinance that gave at least three different sets of regulation for different types of signs, or to be more precise, different types of what the Supreme Court considered sign content. The Town said that the church’s signs constituted temporary directional signage defined in their ordinance as a notice about an event sponsored by a non-profit organization. . The problem here was that temporary directional signage could only stay in place for 12 hours before and an hour after an event, and was limited to 6 square feet in size. However, a political sign could be up to 32 square feet on non-residential property and could be in place prior to the primary election up through the general election, for a total duration of nearly 5 months. Yet a third type of sign, which the Court called an ideological sign that advocated for a viewpoint, could be up to 20 square feet in size and had no time limits. So the opinion of the Court said that on the face of it, different signs were treated differently depending on the content of the sign, meaning whether the Town’s ordinance considered it a political, ideological, or temporary directional sign. The Supreme Court said that an ordinance requiring the government to determine what type of speech was involved, and then treating different speech types differently, should be subject to “strict scrutiny.” In other words, the legal test would to determine whether such a content-related difference would be legally permissible would be quite stringent. In this Supreme Court case there were three concurring opinions, each expressing a different wrinkle on how future cases might be approached. This leads us to say that really, nothing much is settled yet, except this big point: just be very sure that you have an important reason if you plan to treat signs with different types of content differently, and if you think you have that important and compelling reason, spell it out and document it. In one of the three concurring opinions, Justice Alito, joined by Justices Kennedy and Sotomayor, said that local governments still can have very effective sign regulations impacting safety and aesthetics. They cited examples of types of things that can be regulated: the size, material, lighting rules, different treatment of stationery messages compared to moving electronic messages, on-premise versus off-premise distinctions (thank goodness, from our perspective), time limits on signs promoting events, and limits on the number of highway signs per mile. Of course they are expecting that the maximum permissible size of signs, for example, would be the same for all event promotion signs, whether you are promoting a casino party, church service, or rummage sale. If you want to read the 35 pages of opinions in Reed v Town of Gilbert yourself, you can do so. Our bottom line is this: you have to be super-cautious about making any kind of distinction in your sign ordinance that could be interpreted as a difference based on what the content of the sign is. We get the feeling that this is so both because such a rule would require an inspector to determine what the content is or is not, as well as because the Court does not want a government to appear to favor one viewpoint or type of cause over another. But you can and should regulate signs if you want the appearance of your town or city to develop that positive blend between interesting creativity and pleasant repetition of design elements. So what sign regulations are legal? Those that are neutral about content and viewpoint ("free speech" issues) but deal with the time, place, and manner in which things must be done. Applied to sign regulation, this means that the number, size, position, height, sturdiness, and flashing are all fair game for regulation. Like all zoning and related regulations, state your public purpose, and the reasoning behind why your regulation serves a public purpose, as clearly as possible in the law. Thus far we aren't aware of any court attacks on assigning different sign regulations for different zoning districts, so that's why we continue to favor incorporating the sign regulations into your zoning ordinance unless you have the even more controlled situation of covenants (CC&Rs) in a property owners association. A comprehensive review of sign regulations is really the best way to approach the subject. Be aware that as soon as you start that initiative, you're going to hear from the sign companies. Since most sign regulations now aren't retroactive, requiring immediate replacement of any non-conforming sign, the sign companies can't see the longer-run picture. They only focus on the fact that the new sign orders coming in the door will be for much smaller and less expensive signs, they fear. And they might be right. So just expect this fierce opposition and prepare your elected officials to face it. In the long run, the sign companies can benefit from having businesses become more thoughtful about their signs. But they don't see it that way. If you find that your politics are such that you must try to reform sign regulation piecemeal, be aware that your results will be limited dramatically. But if you have a tradition of tall signs, 20 or 25 feet tall, start there. If you have a highway zoning district, you may be forced to continue to allow the taller signs. But the objective should be for such a high sign to be viewed as the absurdity that it is if it is along an arterial street, in a shopping district, or any street less traveled. Give everyone five or 10 years to conform, whatever seems reasonable given the current age of the signs. On topics such as sign regulation, often a part of the zoning regulation, you can find a myriad of examples on-line to give you the current thinking on sign heights. You can read thousands of zoning ordinances on-line now. Group what you find others doing, and then measure the low height along a major street in your town to see if it would look right. An approach requiring less research is to find a height that "feels right," looking around your town for an attractive sign. Take a field trip to other towns so you can be more objective and pick out what looks good. Ask a sign company in another part of the state. Ask an architect or an artist who is good at dealing with proportion. Do some reading. In some cases, particularly in tourist towns, the motels have tried to outdo one another not only in the height of the sign, but also in its size, meaning its square footage. The same techniques apply. On-line and field research will tend to produce a consensus. Where tourist-oriented businesses are grouped, and visitors truly rely on signs to find needed services, consider allowing the economic development group to develop alternative and additional wayfinding signs of very modest size. These can be attractive and uniform, yet still provide great information about how to reach multiple businesses. Then you can afford to be somewhat more restrictive with the private signs. There's very little reason for any business to need more than one sign at the street and one sign on the business. The small entrance and exit signs for the fast food restaurants or other drive-through businesses are helpful if it's important that the internal circulation be one-way as much as possible. So you might consider an exception for those. But keep them small. So now, we've regulated the height, square footage (size), and number of signs. Hopefully you've been correlating these to the zoning district. Commonly you would begin by concentrating on what's appropriate on your largest highway or street, but remember to step back the sign size and height appropriately as you move to less intense zoning districts. Your highway commercial district probably needs more intense signs than your neighborhood commercial. In some environments, one of the best sign regulations you could have is that if the business closes, an on-site sign becomes illegal. Provide that after a reasonable period of time, the municipality can remove it and charge the cost as a lien against the property. Generally I'm not in favor of requiring immediate removal of signs, but when the business is closed, the last thing you need is a constant reminder of its demise. We can anticipate the objection already. Someone will argue that the chain stores and franchises have their standard signs, and if you regulate the signage, these stores just will not locate in your area. Oh, be serious. If they think there is a market in your town, they will figure it out. I think every chain has agreed to modify their standard design now to meet the aesthetic regulations of a municipality, so don't be intimidated. Listen politely, and actually listen, as they might have a good point. However, don't be overly concerned that if you have drafted your sign regulation to create the look you really want, you'll lose business. This happens rarely if ever. Remember that at its root, the sign and visual clutter problem is a competition problem. So the reason the franchise wants such a big and obnoxious sign is they're afraid that if the competition makes their sign more prominent, they won't have the traffic they need. So treat everyone equally and eliminate the competition factor. Usually your signs have become a problem because of other things that went wrong throughout the history of your community. Your ancestors allowed strip centers and large stores (everything from grocery stores to big box stores) to build parking lots in front of their building lines. So now you're stuck with two signs, one on the building and one on the street. If you haven't required the ones along the street to consolidate to one shared sign when buildings share parking, it's best to do so from the aesthetic perspective. Require each business's sign to be small. I'm not saying that's pretty, but it might be the best you can do. You don't want every driver rubber-necking trying to see if this is the strip center with the XYZ Eyeglasses place. A monument type of sign (one built into a structure that sits directly on the ground) will be more attractive than a pole-mounted sign in almost every case. So if your community is hopelessly built out as a series of strip centers, at least require that the new signs be mounted low to the ground, maintain consistency of colors instead of having lots of logos of every description and type, and offer a few landscaping elements to soften the blow. Hopefully those consistent colors are pleasant neutrals too. Don't even get us started on billboards. They ruin landscapes, and if a commercial interest is more important to your town than its landscape, you might as well throw in the towel right now. Either that or you have one ugly town. At least if you are in a legal or political environment that's supportive of the right of billboards to exist, think about where they will cause the least damage to your landscape. Nothing is more upsetting to me than to see a billboard in the middle of an otherwise beautiful tree-filled mountainside. The billboard could at least cover up your most vexing auto salvage yard. Isn't it just common sense to encourage billboards to cover up an eyesore rather than your major selling point and your residents’ major respite in nature? Being realistic, it may be tough to implement this philosophy through sign regulations. If you can't do it, at least talk the talk, and see if you can persuade the advertising companies to listen, for the sake of good public relations. Those of you with forested mountainsides also can consider a scenic preservation overlay zoning district. Then if you have retained sign regulation in the zoning ordinance, which really is my best advice, you can prohibit certain signs in the scenic preservation overlay. Be fair, and only apply the scenic preservation overlay to the best scenery. But this technique may work for you. If businesses are highway-oriented and need the exposure, which many do, attractive wayfinding signs can be designed that eliminate the competition for attention factor. It probably would be a major fight with your state highway department, but I'd suggest some communities band together and see if you can't get a billboard ban in return for a reasonable wayfinding type of signage that would allow travelers to plan ahead. By this I mean that outdoor advertising companies, as the euphemism goes, often argue that their billboards are useful because families need to know that 20 miles ahead is this fast food, 11 miles ahead that fast food, and so forth, so that they can start planning and arguing. In this case, maybe we should have a dignified single sign 25 miles outside the edge of the metro area telling us our options. •	Signs are above the doorways at the transom level, flush against the building. • Signs are small and perpendicular to the building, protruding outward a short distance from the building and at least 8 feet above the sidewalk. We emphasize small and relatively uniform in this approach. •	A third possibility in a downtown is that there are no signs at all, except on awnings and painted onto front windows. In this instance you'll need a strong downtown association with the power to order the awnings from one source and keep them up to date. I've seen a few instances of different colored awnings with slightly different designs, but generally one administrative headquarters works best. In downtowns and other pedestrian-oriented districts of shops, galleries, and cultural institutions, be very careful that your sign regulations (or design guidelines, if signs are covered in that type of document) encourage creativity and enunciate a design theme and a look, but otherwise leave some flexibility for interesting things to occur. Signs actually can become a very positive part of the environment, but it's just too rare that we see that done. Another note that might apply all over town, but especially downtown and in shopping districts, is that if you reform your sign regulations, you may want to make some provision to list signs as historic. Then your historic signs, about which people wax nostalgic, can remain in place as long as their owners want. As a footnote on unintended consequences, word your definitions carefully, as some distinctive shapes and profiles have been considered signs by courts. A McDonald's playground inadvertently fell under a sign ordinance. So sign companies, now that computers do a lot of the grunt work in your business, your finest days are ahead. If you're in the sign business, stay out front of the sign regulations by doing terrific design work. You can make as much money being clever graphically as selling monster signs. But if you're on the community side of things, do as much as you can, as quickly and as amiably as you can, to shape up your sign regulations and thereby rid yourselves over time of some junky-looking environments. The result is a community that looks easier to navigate, cleaner, more orderly, and altogether more upscale.